When we first heard the idea, we were a little skeptical, too. Then we tried one. Great wasabi kick with a salty, sweet finish. But we still weren't sure, so we tried another one. And then another. Pretty soon the can was gone, so we had to open up a new one. Well, we're still trying them. We're pretty sure we like them, but we're going to keep on tasting them to be sure. When you're hungry for something tangy…no, maybe something salty…no, more like something sweet....well, you found it. The light sweetness of almonds mixed with the tart vinegar tang and a dash of salt is perfect for taming your cravings. Even when you don't know what they are. Indulge your inner Texan with almonds coated in bronco-busting barbecue seasoning, laced with delicious habanero heat. For those who like to add a little challenge to getting their handful of almonds a day, our Habanero BBQ won't disappoint. 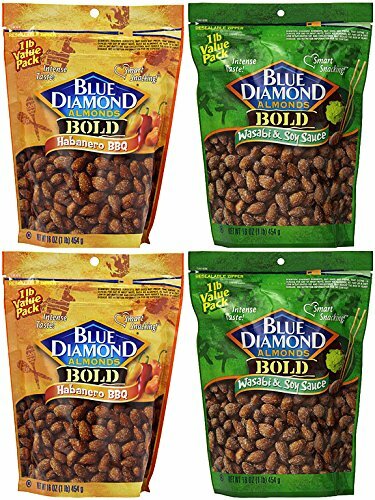 Variety Box consists of 12 / 1.5 ounce Bags EACH of Blue Diamond Bold Sweet Thai Chili Almonds, Blue Diamond Bold Habanero BBQ Almonds and Blue Diamond Bold Wasabi & Soy Sauce Almonds. 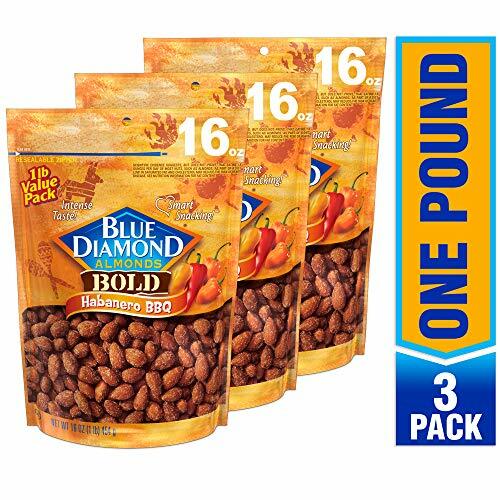 Total of 36 / 1.5-ounce tube size bags. 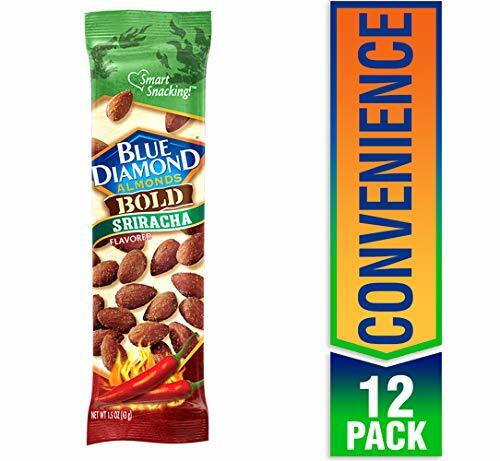 Our BOLD flavors are heating up with new Sriracha flavored almonds. 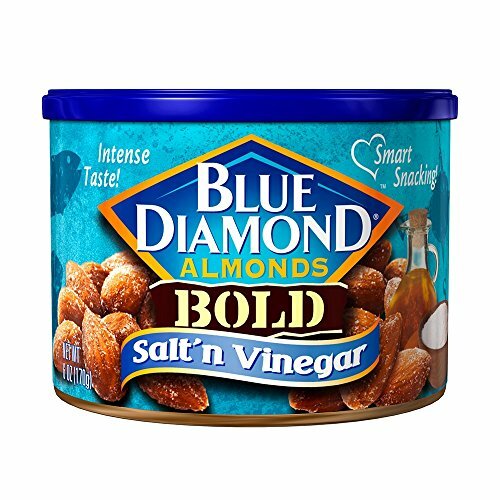 Fans of the bold, complex flavors of Sriracha hot sauce can now experience that tangy heat on Blue Diamond almonds. So pick up a can and kick up the heat. 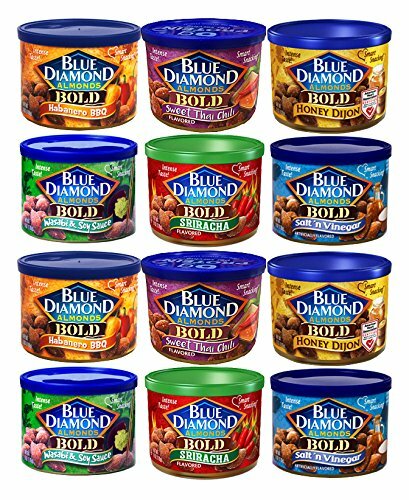 Variety selection consists of 2 each 16 oz. 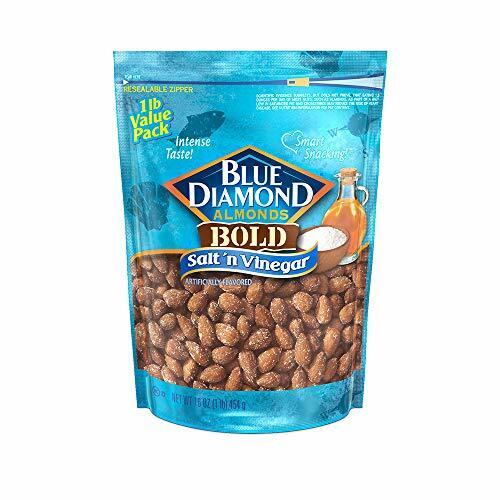 bag of Blue Diamond Bold Habanero BBQ Almonds and Blue Diamond Bold Wasabi & Soy Sauce. 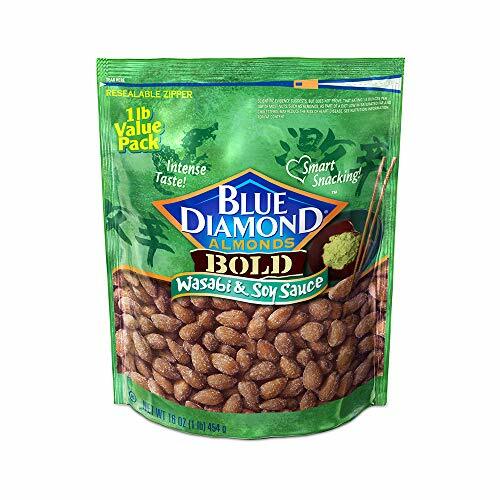 Blue Diamond Smart Snacking Almonds Variety Pack (1.5 Ounce Bags). 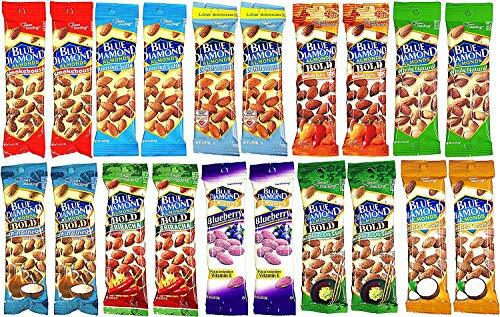 Contains (1.5 Ounce Bags) of Each Featured Flavor. Featured Flavors Include: Roasted Salted, Blueberry Roasted, Lightly Salted, Habanero BBQ, Whole Natural, Wasabi & Soy Sauce, Toasted Coconut, Sriracha, Smokehouse, Salt 'n Vinegar. 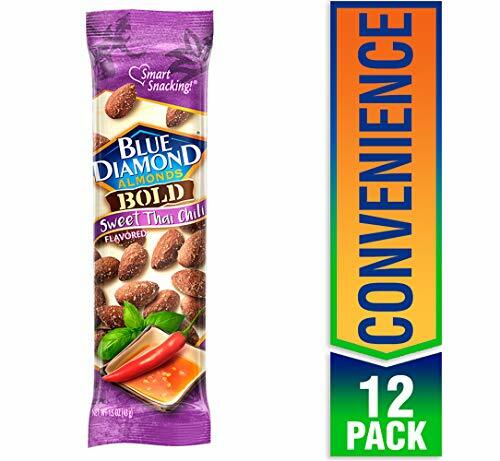 Great for On the Go Snacking. 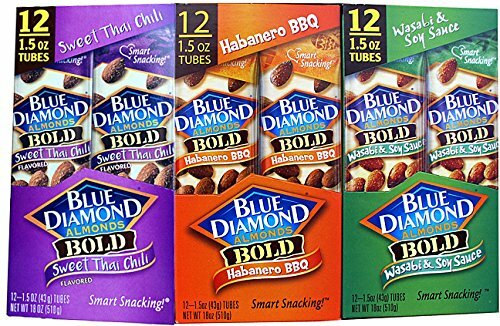 Variety selection consists of 2 / 6-ounce Cans EACH of Blue Diamond Honey Dijon Almonds, Blue Diamond Habanero BBQ Almonds, Blue Diamond Sweet Thai Chili Almonds, Blue Diamond Wasabi & Soy Sauce Almonds, Blue Diamond Sriracha Almonds and Blue Diamond Salt n Vinegar Almonds. Total of 12 / 6-ounce cans.